The 2018 World Cup has ended with 30 of the 32 teams having used both their first and second-choice shirts at the competition. The odd sides out are Japan and Poland – their final Group H game would have been an opportunity for both to change, but this didn’t happen. Unsurprisingly, to have just two away shirts unworn is a record, though one which will probably be beaten in future tournaments. We decided to delve into the archives and pick one unused change kit from each of the past ten World Cups. The shorts from this kit did see action against Peru and Iran, though the white shirts and socks remained in the hamper. Perhaps fearful of looking too much like England, Scotland opted for red change shirts for much of the early 80s, followed by yellow. Another kit which had its shorts used with the home shirts – though oddly against Argentina and not Poland – it was a pity that the yellow taping on the shorts didn’t have the red and black trim as on the shirts and socks. Yes, a sky-blue rather than red change kit for England in Mexico – Simon Shakeshaftsays it, and we wouldn’t doubt him. The heat was a factor in the decision (clearly, the 1970 black-and-white TV confusion wasn’t raised), though the red was brought as a third kit, primarily used for training. The shorts and socks from this kit were used against Argentina in the quarter-finals. The hosts were able to wear their first kit in all seven of their games at Italia 90, and it’s a pity that this wasn’t called upon. While Italy often used the home shorts and socks with their away shirts, it’s safe to assume that they had alternative versions for the competition. While a 1994 star-adorned shirt calls to mind the hosts USA, Cameroon also had this back-up shirt though they didn’t need to change against Brazil, Sweden or Russia. 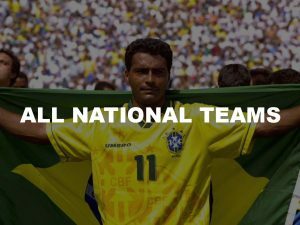 Brazil wore blue in three games en route to winning in 1994, but four years later they didn’t have to change from their yellow shirts. Had they done, they would have worn these shirts, in the same style but in the usual blue and white palette. The shorts and socks were used against Chile. Between their 1994 quarter-final defeat to Italy and the 2010 group game against Chile, Spain weren’t forced to wear a change kit. This strip was one of those not to grace the World Cup but it did see action in other games – the blue equivalent wasn’t used at all. 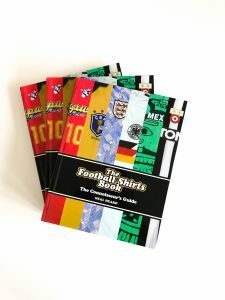 Germany went on an even more impressive home-kit run than Spain – after wearing green against England in the 1990 semi-final, their next time to wear something other than white was the 2010 clash with Ghana. 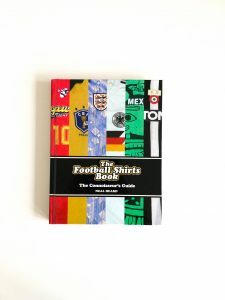 Under Jürgen Klinsmann, red was favoured as an alternative colour and, had they needed to change as hosts in 2006, they would have donned this imaginative style – a shirt with asymmetrical sleeve colours wouldn’t be allowed nowadays, though. A lot of people were disappointed that Nigeria had to wear their change kit in two games out of three at the 2018 World Cup, but in 2010 they were able to use their first strip in all three games. 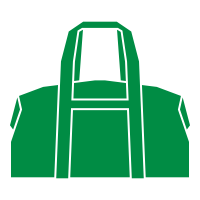 The alternative was an adidas template, but the use of the green shoulder panels meant that the shirt had adidas striping into two different colours. Croatia’s first kit can often prove troublesome – while they will wear their famous chequered shirts in the final, it will be with white alternative socks, ending the tournament without having worn their full home strip. In 2014, they were able to wear the primary shirt against Brazil, Cameroon and Mexico, meaning this smart blue outfit wasn’t called upon.